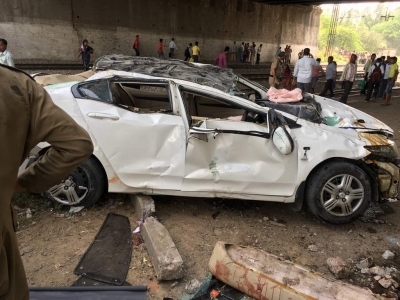 At least two persons died, including a woman, and five others were injured when a car jumped off from a flyover on Monday, the city police said. 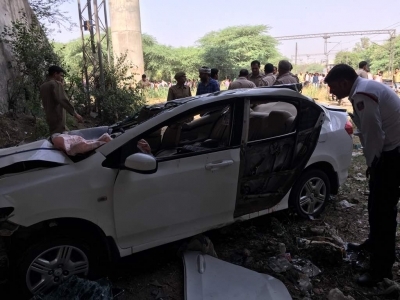 The accident took place in Punjabi Bagh area of west Delhi when a speeding car jumped off from the flyover around 9 a.m., a police officer told IANS. The two killed in the accident have been identified as Rajat and Ritu. 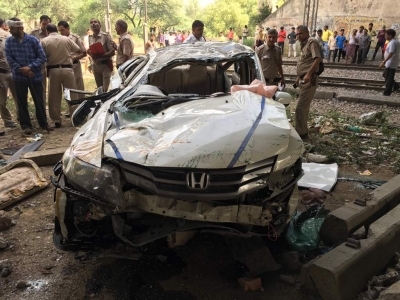 “Three critically injured were shifted to All India Institute of Medical Sciences (AIIMS) Trauma Centre while two people were shifted to Mahavir Hospital,” the officer said. All the passengers in the car were in the age group of 18-20 years and were going to Narela in west Delhi to appear in an examination.